French couple Fred and Frédo Jougla are visiting Iceland for the fourth time and intend to spend the winter here. Anyone wishing to join them next spring can sign up online. 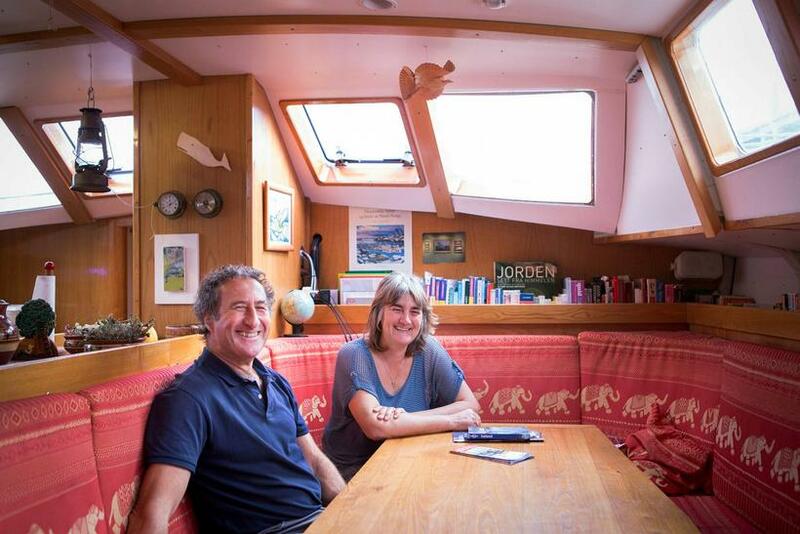 In an interview with Morgunblaðið they explain that they've sailed the oceans of the world for years and live on their boat. Polar bears have ventured onto their vessel called the Fredoya and sometimes they've had to wait days for wind when fuel was out. "We love the Arctic, we were in Greenland all summer and we've been there three times. It's magical, with all the ice and the whales. We love that the north is so unpopulated, there's something so fresh about the light and th blue sky. A dry cold during the winter and not too hot during the summer. We lived in Tromsö in Norway for fifteen years and know it well. In Iceland we love the wild nature, the Northern Lights and skiing. It's our fourth time in Iceland and we really like Icelanders. That's why we're going to spend the winter here." This polar bear spotted the boat and wanted to climb aboard. 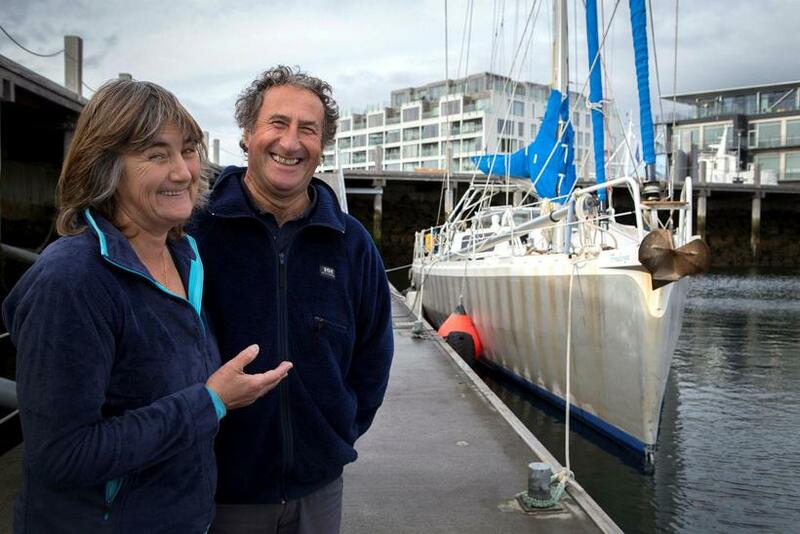 The Fredoya is now docked in Reykjavik and the couple intend to enjoy Reykjavik until Christmas. 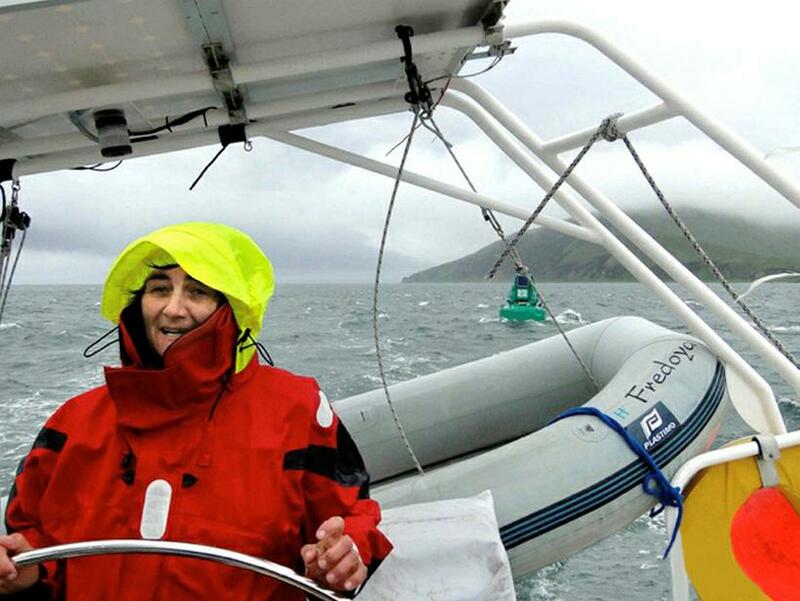 In January they're going to sail to Ísafjörður in the West Fjords to go skiing, and then they will be heading to Dalvík and Akureyri in North Iceland. This spring they will leave Iceland and set sail for Svalbarði. Although the couple are enchanted by the north, they also love the south, having sailed around the Caribbean, Cuba, Grenada, the Azores and Panama. 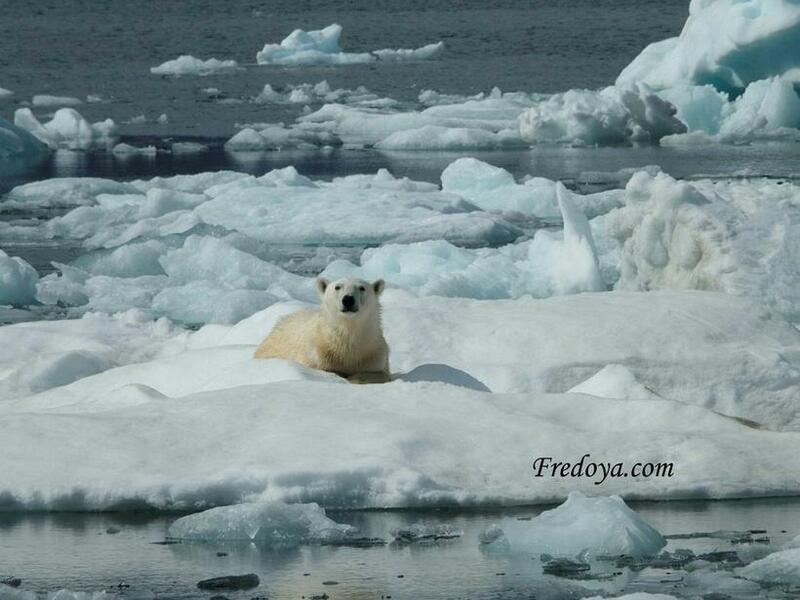 The Fredoya sailing between icebergs in Greenland. "We speak Spanish and we like to visit Spanish-speaking countries. We love Spanish food and Spanish friends," Fred says laughingly. He's also a great cook and takes care of all the cuisine on board. "Cooking depends on the weather," he explains. "You can't bake bread or fry eggs when the seas are rough. Then everything slides around." He adds that he likes trying new things and liked seal meat which they were served in Greenland. The couple used to sail around with their children but they're all grown up now. "In the past year we've invited people to sail with us for a fee. People can apply through our website. We have space for six people and our cabins are for two people and each have a toilet and a shower. People can sail with us for a few days or a few weeks." The couple have encountered a few dangers over the years. "When we were sailing in Greenland a polar bear swam up to the boat and tried to climb aboard. We turned the engine on and fortunately that scared him away. And when we were sailing around Svalbard we had to have a rifle on board, because of the polar bears. We didn't need to use it however." 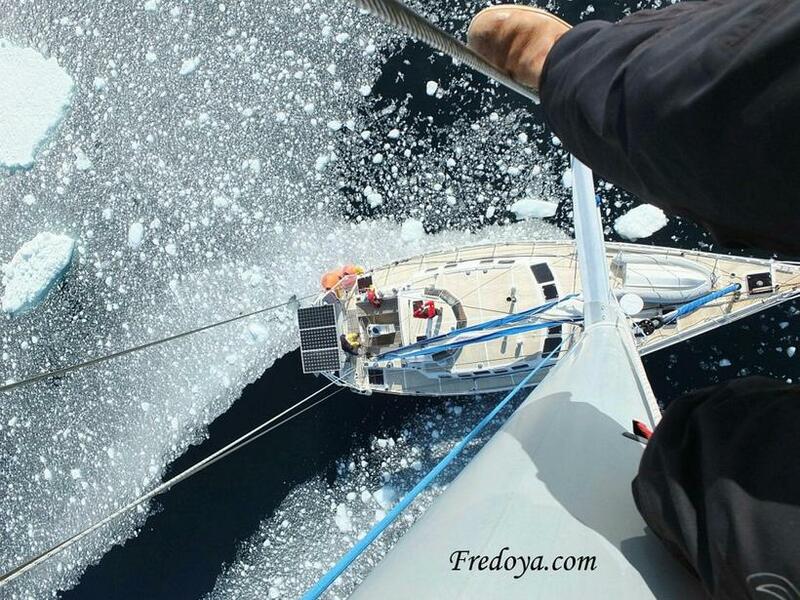 Sailing enthusiasts who would be interested in joining the Freydoya crew for a while can visit www.fredoya.com.